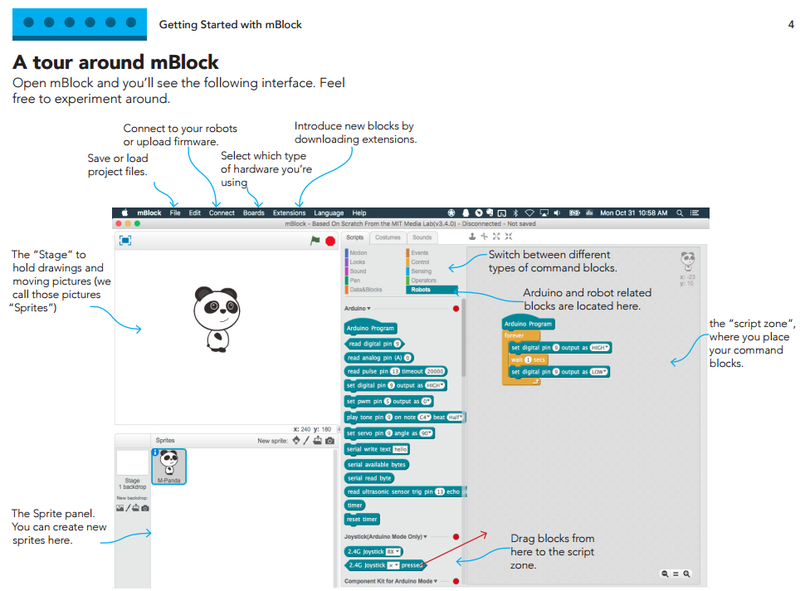 The following guide will introduce you how to use mBlock, and how to program Robots / Arduino Boards with mBlock. Drag the module block you need from Robots Area, select the correct port/pin.Then trigger the running event, you can see it works. More Tutorials are available in the mBlock tutorial sections of mBlock Education.